Royal Air Maroc has returned to Vienna. 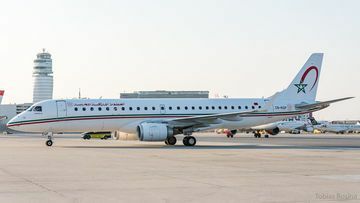 An aircraft operated by Morocco’s largest airline landed at Vienna Airport on Monday evening, April 1, 2019 after an absence of more than 20 years. All Nippon Airways (ANA), Japan’s largest and 5-Star airline for seven consecutive years, would like to share that in preparation of the launch of international flight facilities in Terminal 2, Haneda Airport is updating the names of the International Passenger Terminal and other facilities to help reduce confusion among travelers. On March 31, 2019, Air France inaugurated its service to Belgrade (Serbia) and Tbilisi (Georgia).